Many of our friends have taken long weekend trips to Iceland. 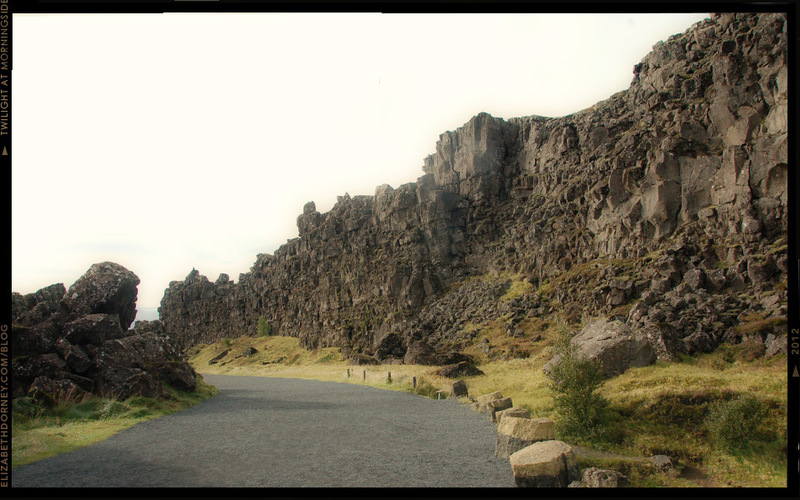 If you’re only in the country for 3- 5 nights it can make a lot of sense to stay in Reykjavik and day trip (independently or with a tour group) to the sites in South Iceland. Since we had a week for our vacation, we rented a Jeep and decided to explore on our own. 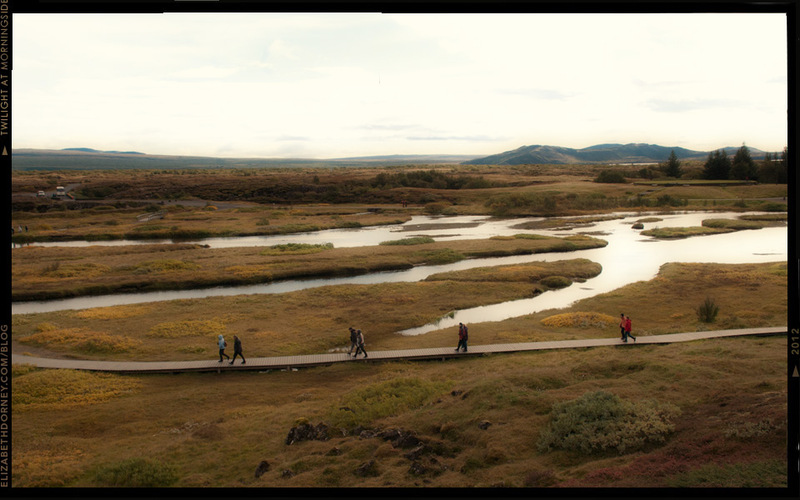 Using Selfoss as our home base left us closer to the stops on the very popular Golden Circle tourist route covering Thingvellir National Park, Gullfoss and Geysir. After landing around 6:30 AM, clearing customs was a snap. There didn’t seem to be any other inbound flights at the airport! 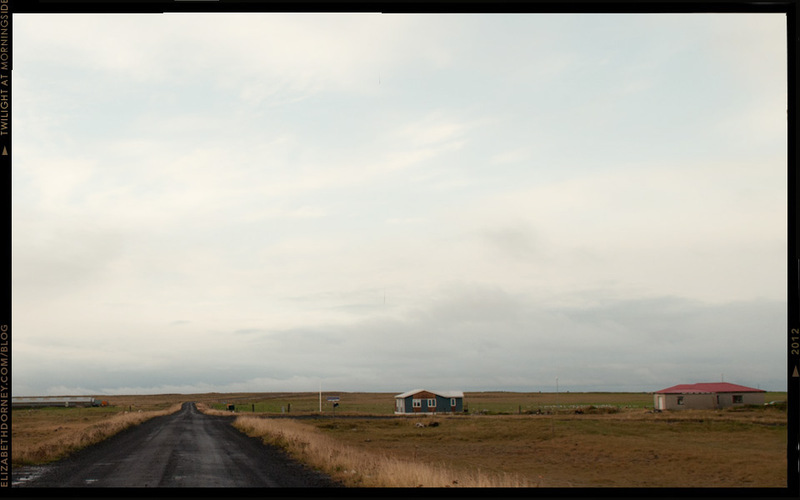 We spent our first hour or so driving a bit of the Reykanes Peninsula (where KEF- Keflavik International Airport is located) before heading in to Reykjavik for breakfast. 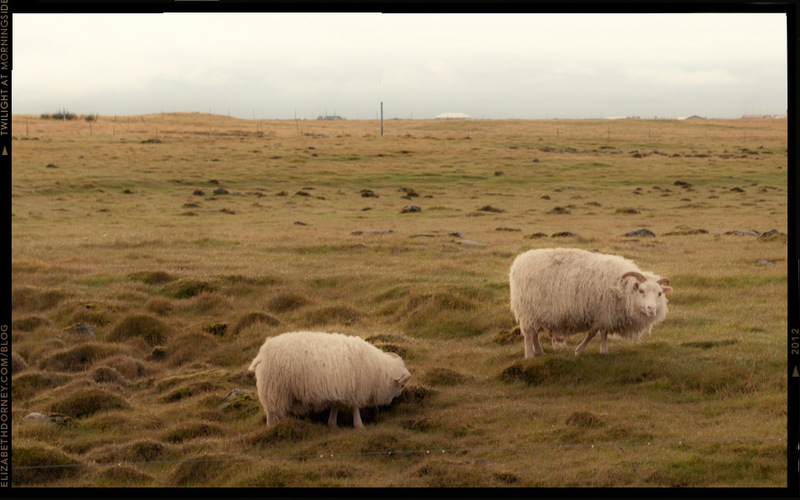 It’s seems fitting that the first photo features sheep. If you visit in the warmer months, you’ll see them everywhere – they outnumber humans 2 to 1! The September round-up was just beginning, but these two were nibbling their breakfast in peace. 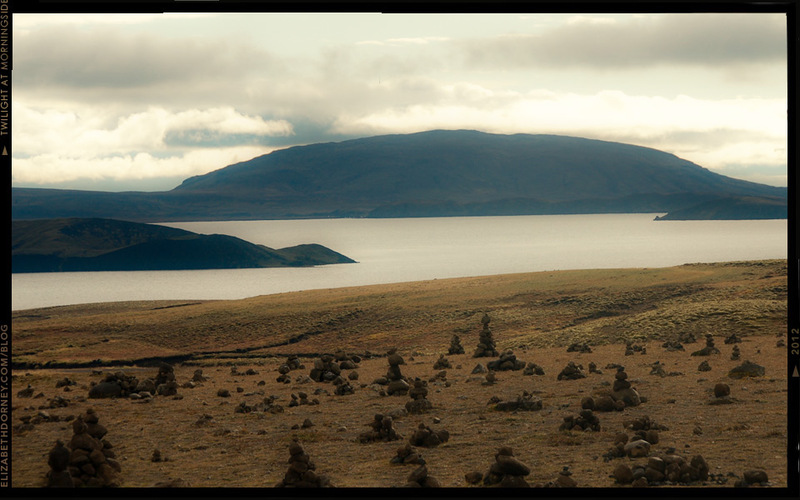 After breakfast in Reykjavik, our first stop was Lake Thingvallavatn, the country’s largest natural lake. 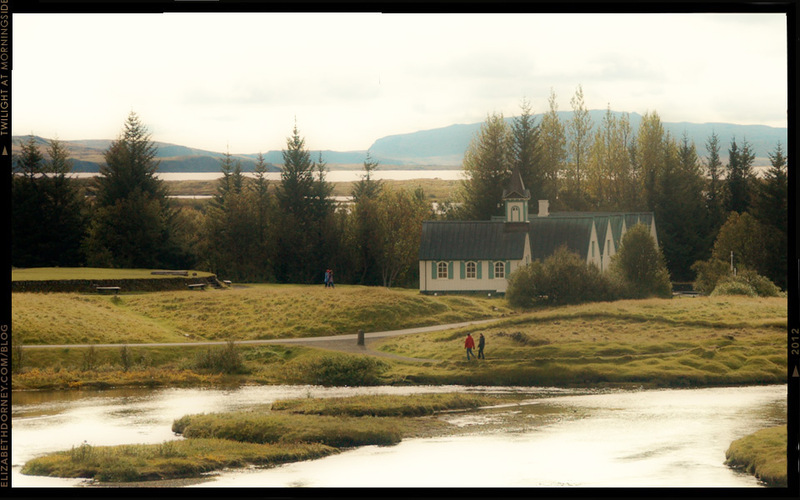 Thingvellir National Park, a UNESCO World Heritage site is located at the northern shore of Lake Thingvallavatn. I wasn’t sure what we would find at this geological and cultural wonder, but I now consider this rift valley on the crest of the Mid-Atlantic Ridge a must-see. Parliament (Althing) convened here from 930-1798 and the site was a great introduction to the history of the island’s settlement. 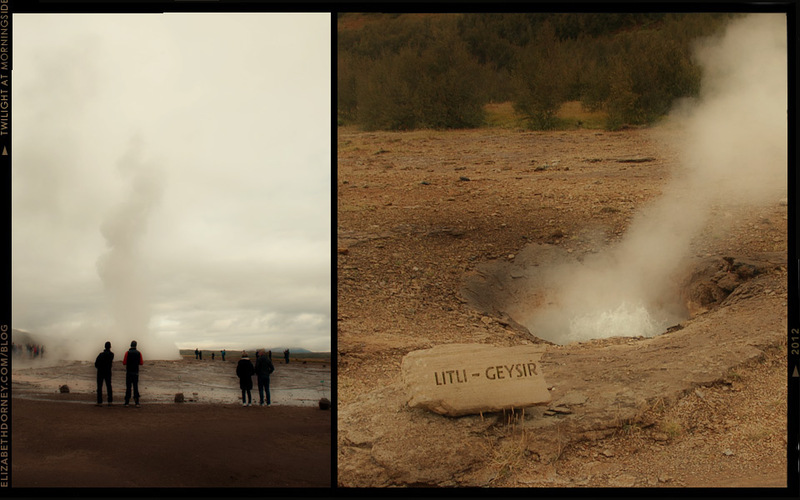 Next stop: Geysir. Yes, the English word originated from this very geyser! 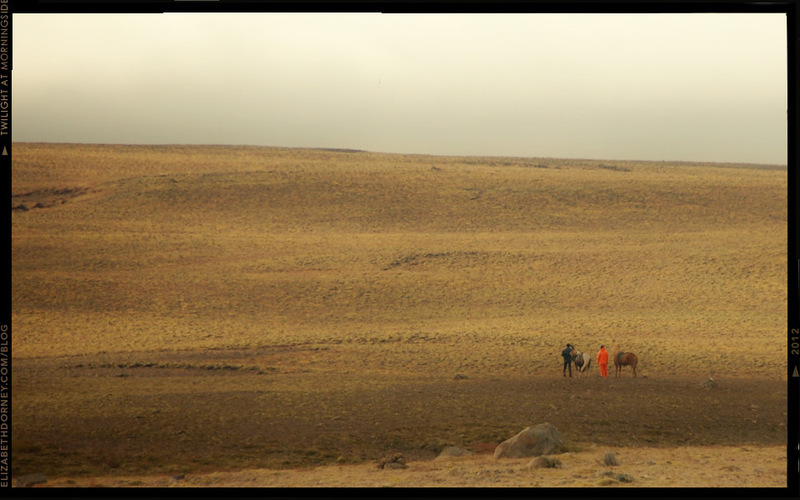 We arrived with raindrops falling, but the real problem was the flat gray skies, a similar color to to the erupting hot spring. It’s hard to distinguish one from the other in the left photo. And then the effects of the red-eye kicked in. Hungry and tired, we were overcome by the realization that we had not covered as much ground as expected. 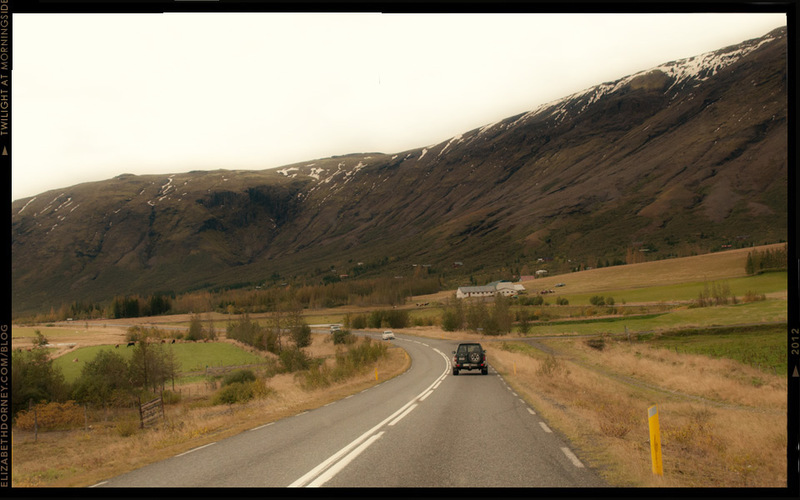 With a top speed of 90 km/hr and unfamiliar roads with very little shoulder, we called it quits on sightseeing. 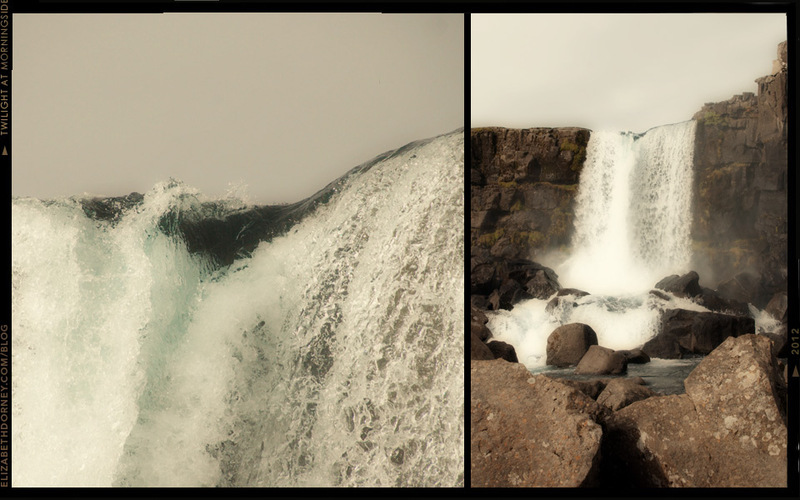 Satisfied by the gorgeous waterfall at Thingvellir, we gave up hope of seeing the famous Gullfoss and drove off to have a quiet sit-down lunch. 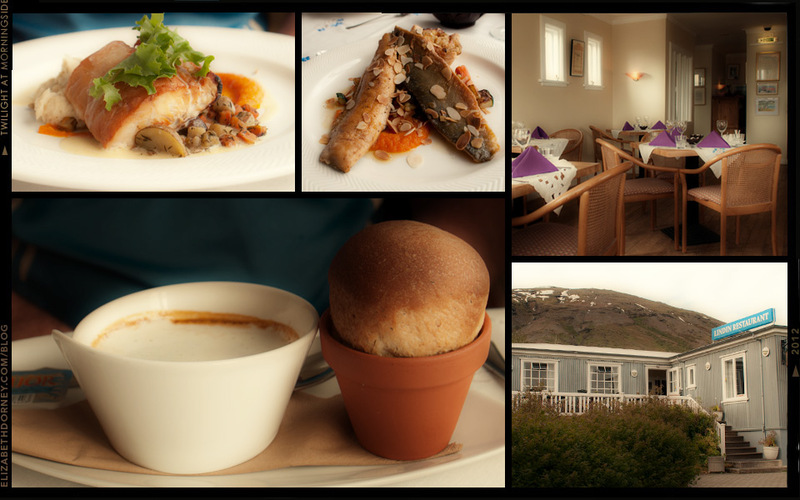 If you’re on a mission to tour the Golden Circle, you might not have time for a white tablecloth kind of lunch in Laugarvatn, but we had good food and service when we arrived for a late lunch at Restaurant Lindin. There are quicker and cheaper alternatives closer to the main tourist sites, but from the moment we tried our very first Icelandic lobster soup, we knew we were in the right place. Time to check-in and take a nap. 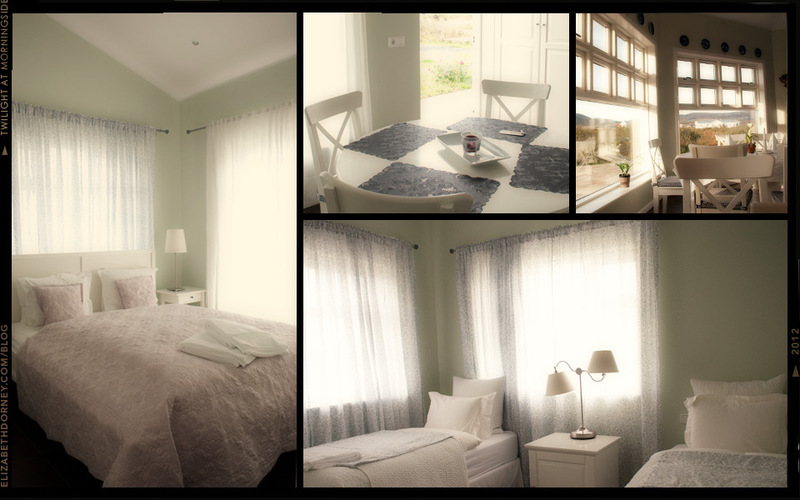 Our accommodations were slightly north of Selfoss at Hótel Grímsborgir. Free-standing buildings house 2 & 4 bedroom units and the hotel restaurant (upper right photo below) serves breakfast and dinner. Breakfast was included in the nightly rate and went above & beyond the usual spartan European breakfast buffet. We had no intention of cooking, but if you want to save money and skip eating out, Grimsborgir becomes an even better option. Having never pondered what it would look like to furnish and decorate a home mostly with IKEA finds, it was still no surprise to discover all the interiors had a clean and inviting look. If you’re traveling in a party of 3 or more, also consider the larger apartment. Though you may not need 4 double bedrooms, families or groups of friends will find the living area is more generously allocated for cooking, dining and lounging. Our unit (below) was ideal for the 2 of us. Thanks Amy. The sun would only come and go between long gray and moody stretches. 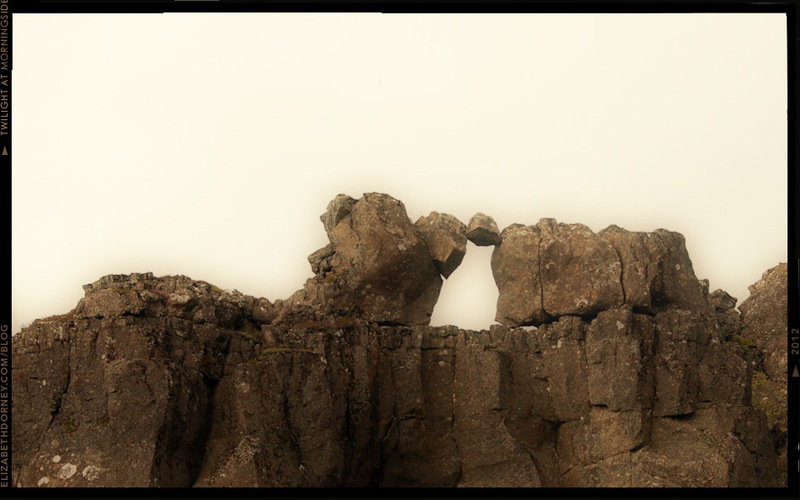 Iceland did strike me as a bit otherworldly, especially out in the countryside. I was so jetlagged this first day, these photos were a bit of a surprise. I didn’t remember the landscape as clearly as I thought. Stunning. Simply stunning. 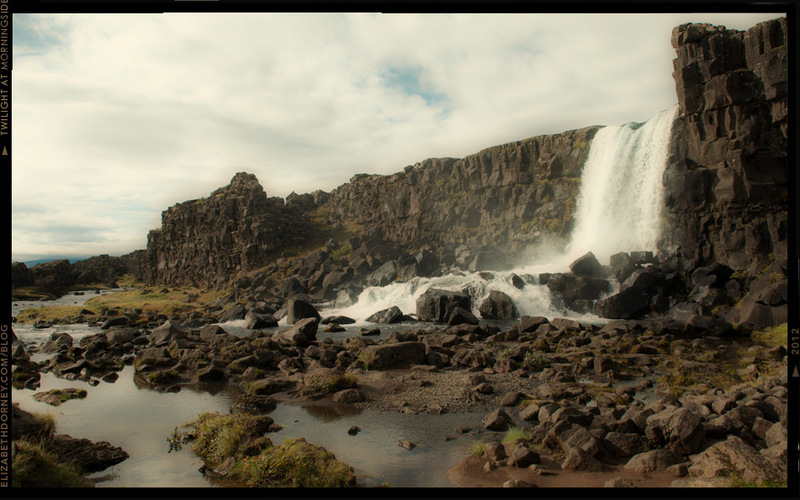 You captured an amazing moodiness in those landscape shots. How was the light there? It looks/feels so ethereal.